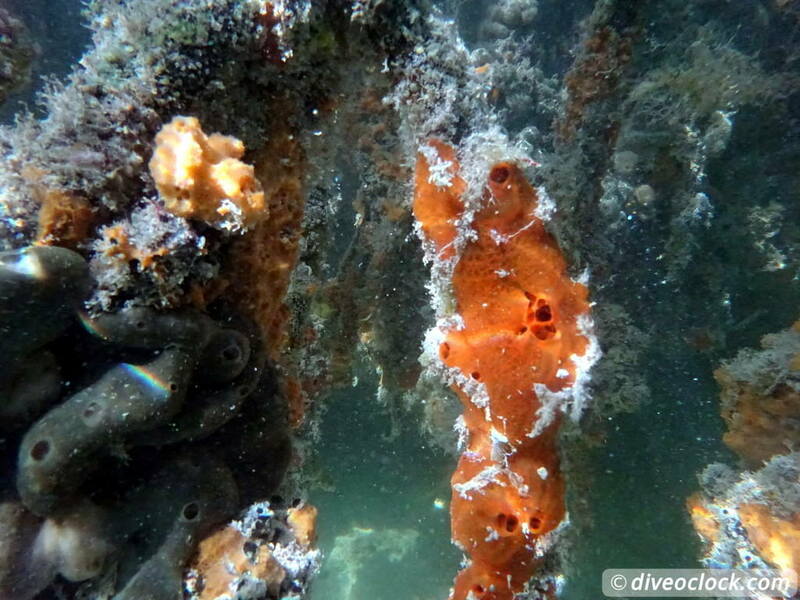 Mangrove Snorkeling on Bonaire - A Truly Unique Experience - Dive o'clock! 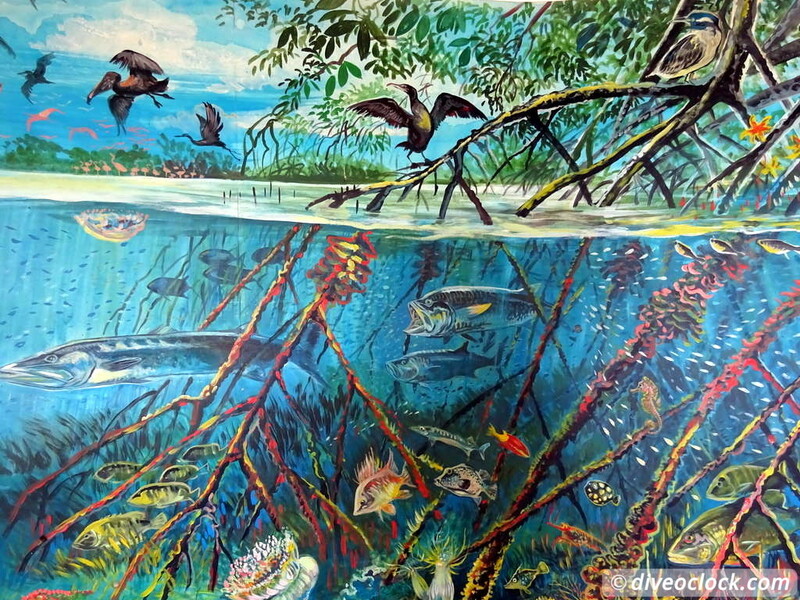 Marine life around the mangroves on Bonaire, 3D painting (Mangrove Info Center). 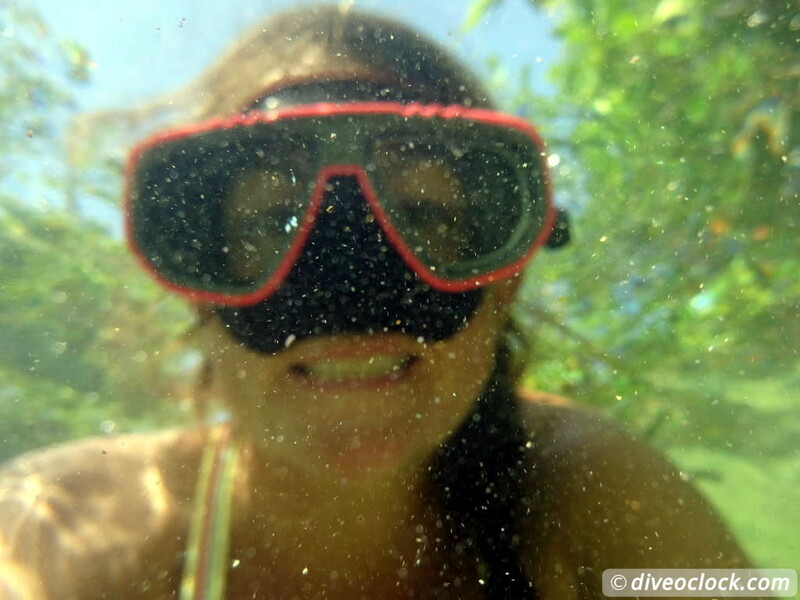 One of the things you have to do when you are on Bonaire is mangrove snorkeling. 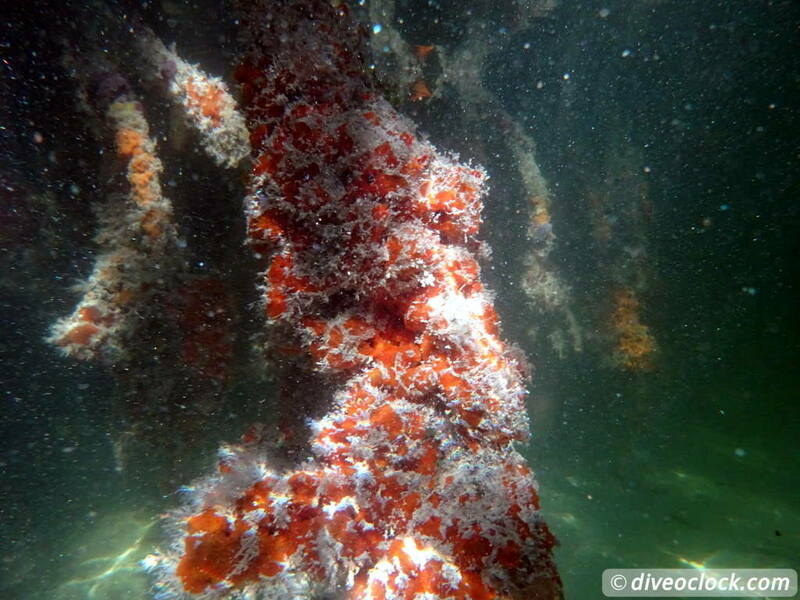 It is a perfect way to end your dive holiday. 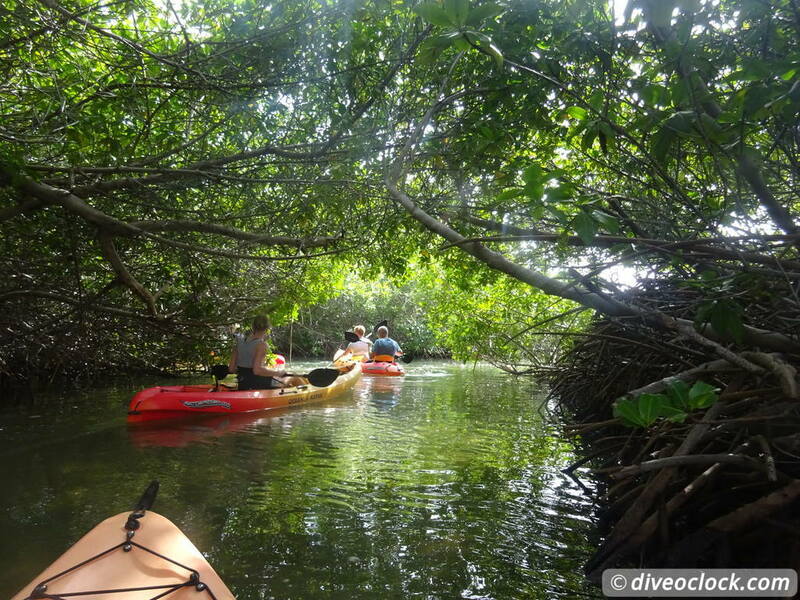 Kayak to a secluded bay to explore future marine life generations! 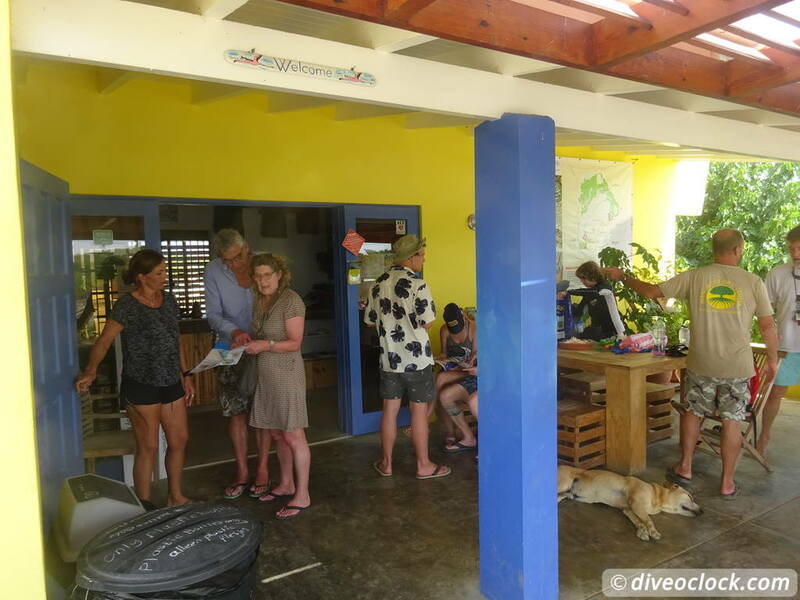 After some awesome dives around Bonaire you are likely to stop diving because you need to fly the next day. To top your Bonaire experience you can snorkel in a secluded bay, or actually the channel, that is an underwater nursery and full of life. 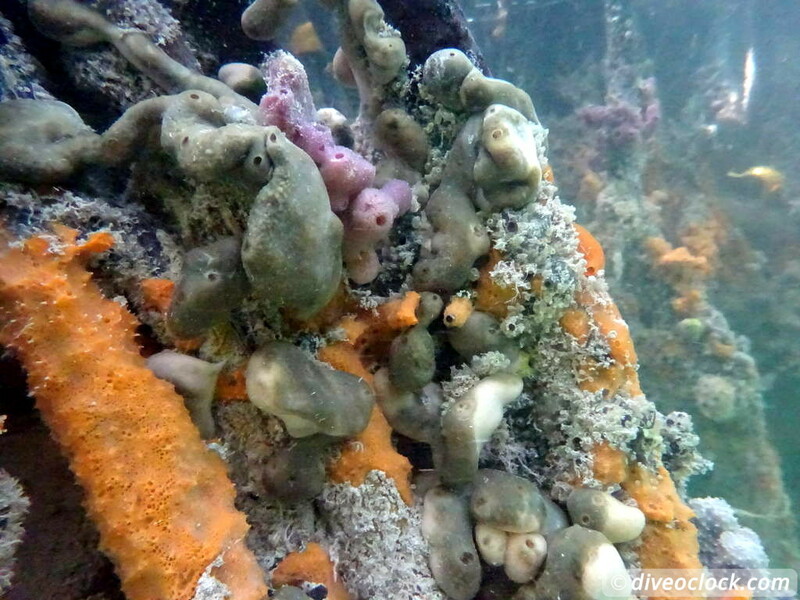 Future generations of various fish species, corals and sponges grow here before they head to open water, the Caribbean Sea. 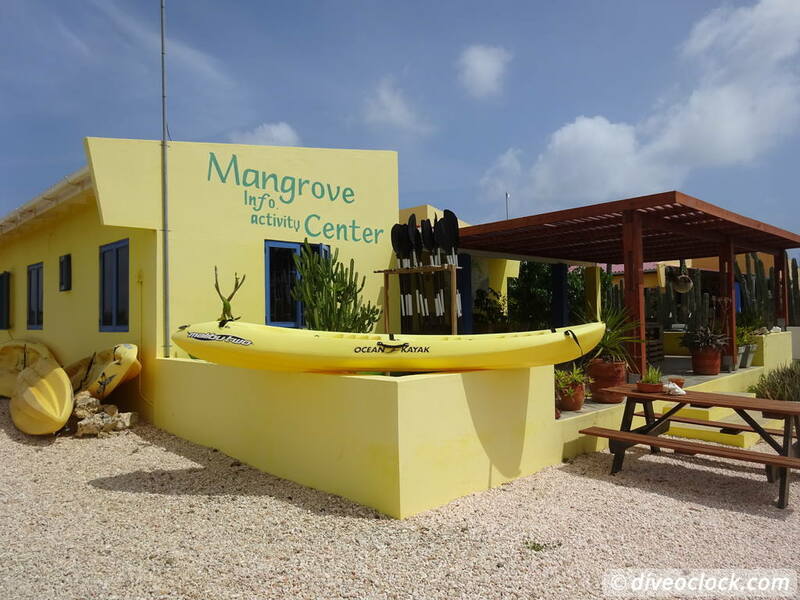 We booked the 2-hours kayak & snorkeling with The Mangrove Information Center Bonaire and we absolutely loved it! It was beyond our expectations. After a fast check-in we got a very interesting lecture about the mangrove forest and the conservation efforts of this company regarding this ecosystem. 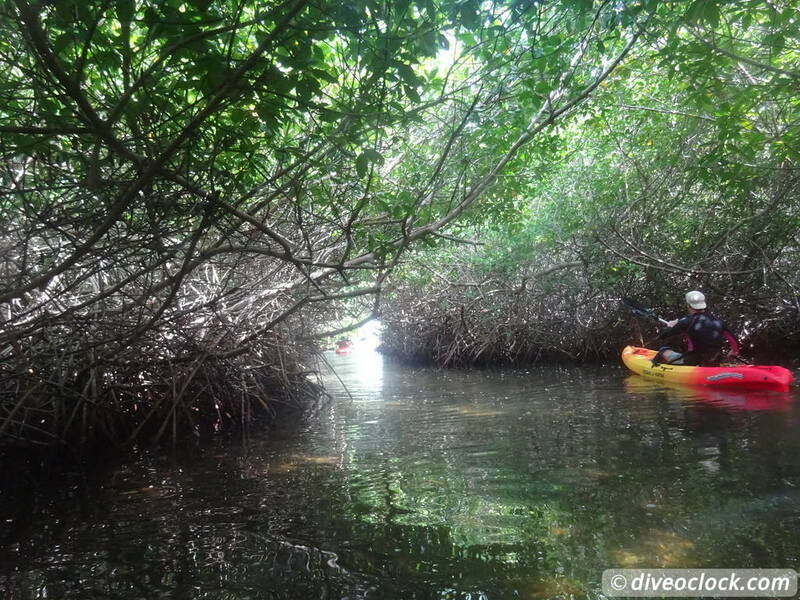 Our guide (Lucky) Luuk was very passionate and interested in sharing his knowledge about the mangroves and marine life. 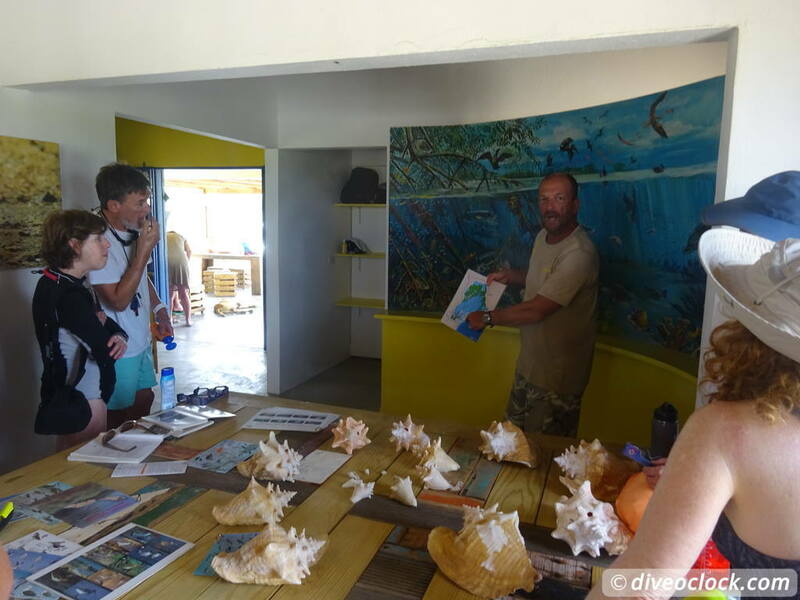 Many things were explained about the conch snail and shell, the danger of plastic and sunscreen to marine life and interesting facts about some of the animals in the mangroves. 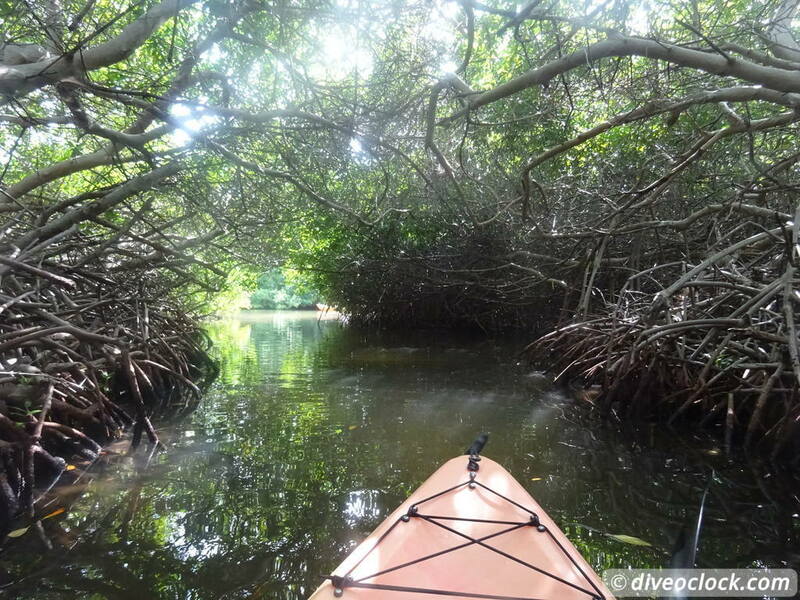 Kayaking towards the mangrove snorkeling area. Stick to the group as the mangrove forest is a maze of narrow channels, you might get lost (FOR SURE!). After storing our dry clothes and personal belongings (everything gets wet) we walked towards the kayaks with a bottle of water and some people took a dry bag for their camera or phone. 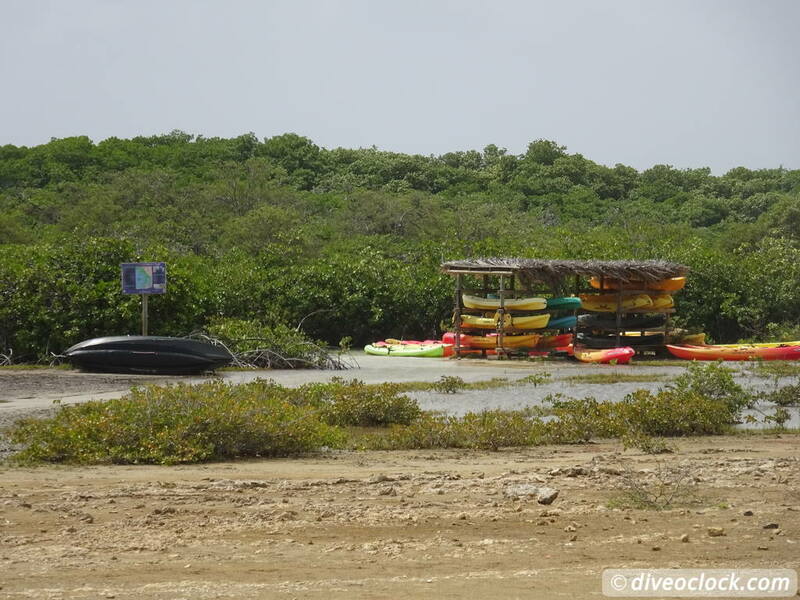 Because the area is protected as being part of Bonaire Marine National Park you have to stick to some rules in order to keep the ecosystem healthy and vital. 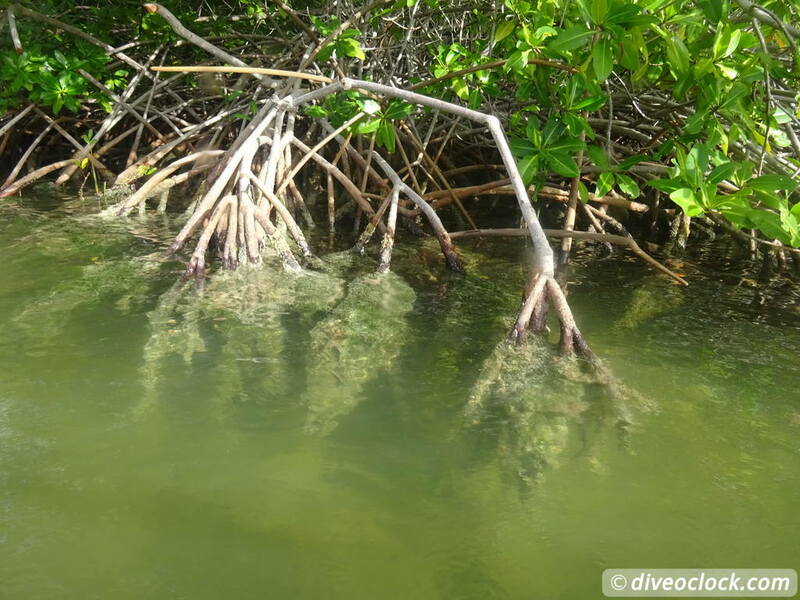 You can wear swimming or water shoes, even your dive booties, but fins are NOT allowed to protect the fragile and young marine life in the mangroves. A field guide that illustrates the variety of fish, corals, invertebrates and plants you are most likely to encounter in less than 15 feet of water in the Caribbean. Plus photographs that are suitable for identification purposes. As soon as we managed to jump sort of elegantly in the kayaks we started peddling towards the first meeting point. Around the first corner we saw fairy-tale like natural tree tunnels, like low overhangs. Sometimes you had to bend over not to hit the trees. 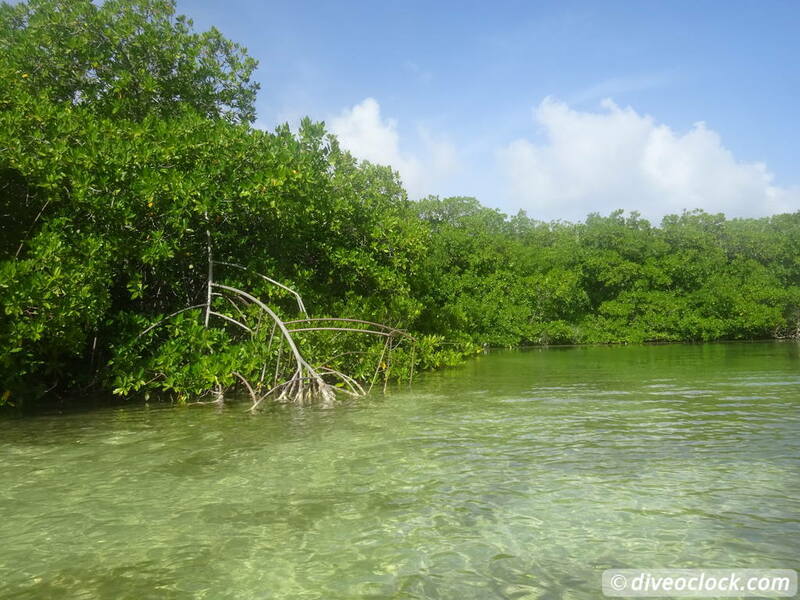 The kayaking part was beautiful, very romantic and calm, but I just could not wait to stick my head underwater and snorkel in this incredible mangrove forest. 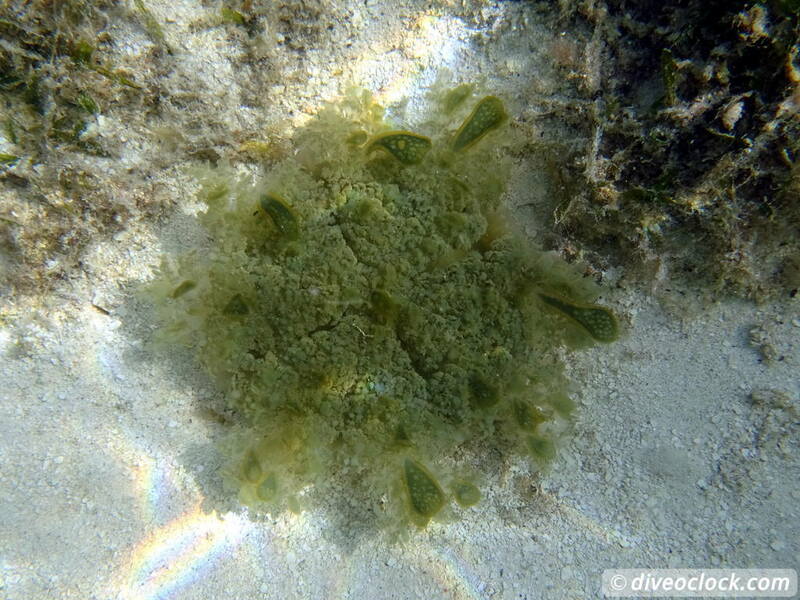 The best snorkeling area, the nursery, was on the other side of Lac Bay. Lac Bay is a pretty big bay, an open area. Since it was pretty windy our first exercise was to cross the bay with the kayaks. That was actually pretty funny since most people were together in a kayak and it was a bit of a team building exercise peddling at the same time in the same direction. 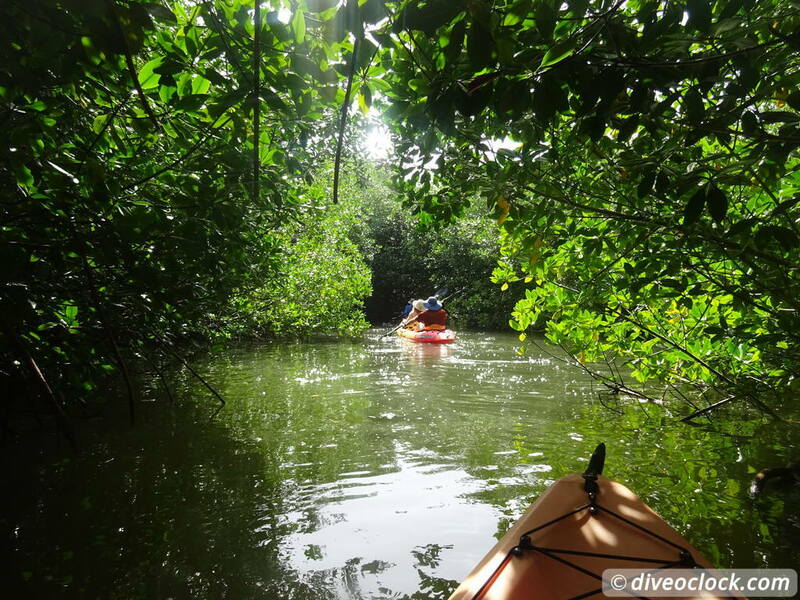 Kayaking in the mangrove forest. As soon as we arrived at the snorkeling area our guide Luuk helped us with carefully tying the kayaks to a tree and getting in the water. The water was really salty and clear. You could already see a lot of tiny fish and upside-down jellyfish, careful not to step on them as it can hurt pretty bad. 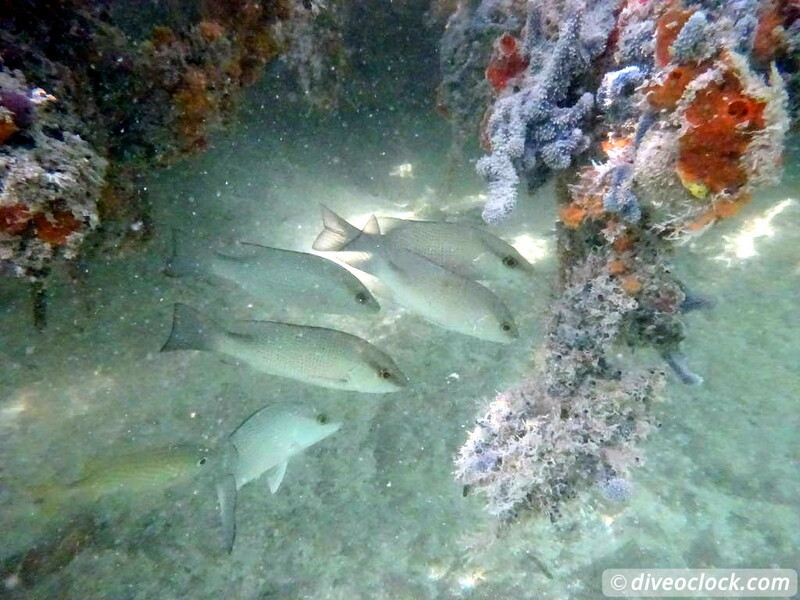 We needed to swim to the secluded bay against the current first in order to snorkel back with the current and explore the underwater nursery. Without fins, trying not to touch the trees or bottom and with holding my camera it was a real exercise! When we made it all the way to the other side of the tunnel there was a sandy area to catch our breath and wait for everybody to arrive. Some people did not make it and snorkeled around the kayaks. It was well-worth the exercise! Since the conditions vary due to tides, winds and seasons the current can change between every tour. It was pretty clear because of the current but we flew through the channel in minutes trying hard not to bump into the trees or each other. 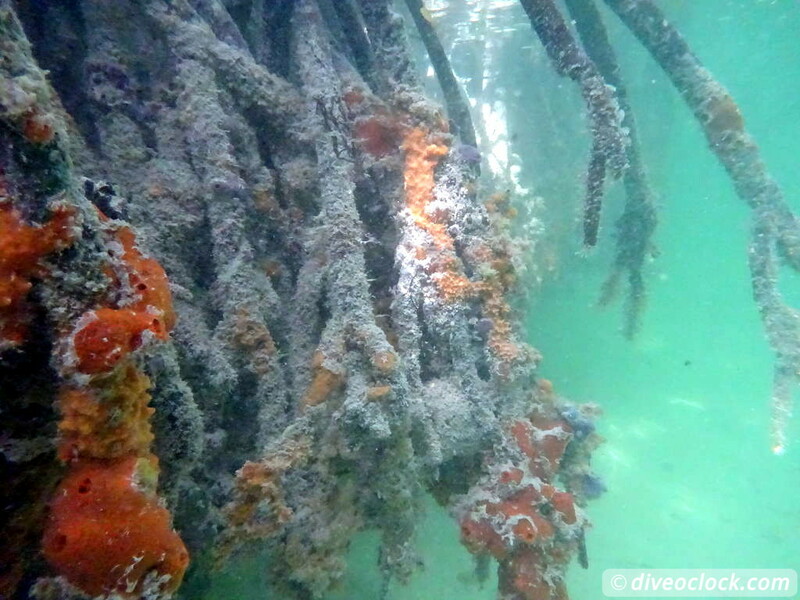 Snorkeling back through the channel was breathtaking, a real underwater nursery of fish and sponges. 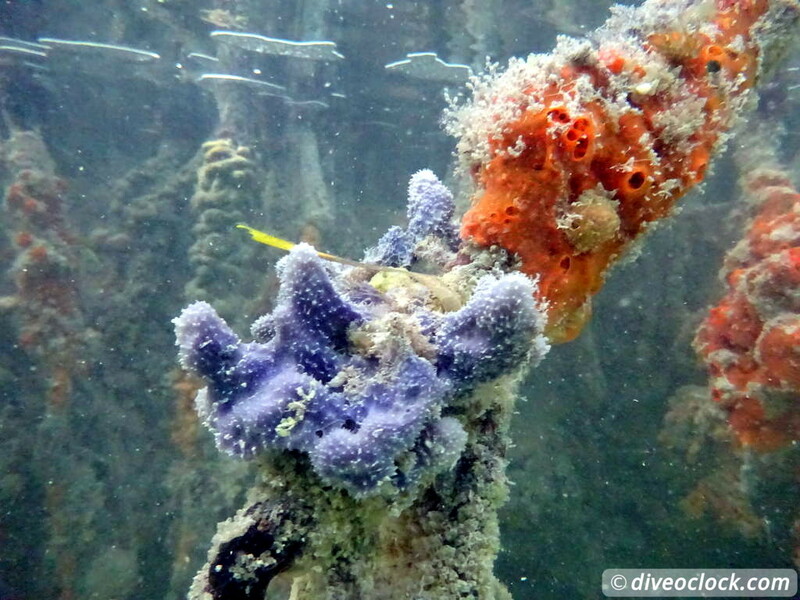 The purple and orange sponges made it look like a painting underwater. Little fish were hiding in the roots and bigger fish underneath them. 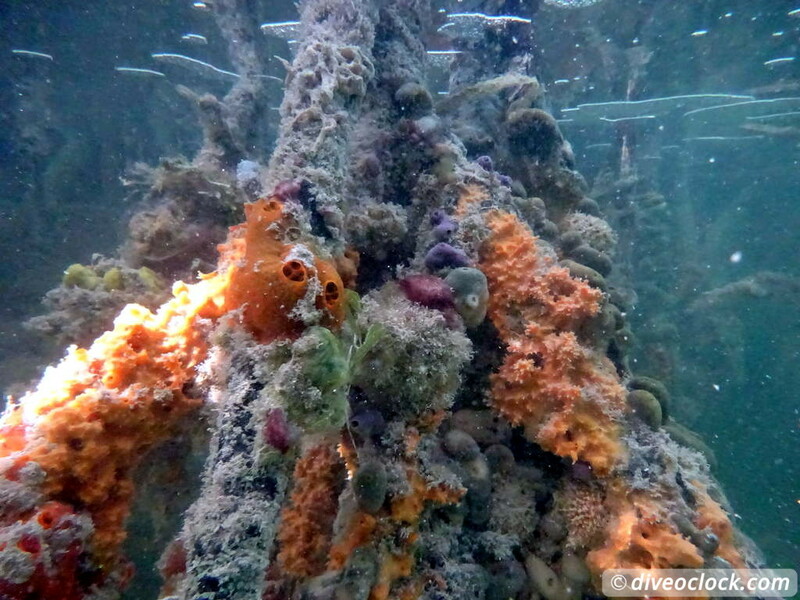 You are allowed to snorkeling in this area for 15 to 30 minutes. 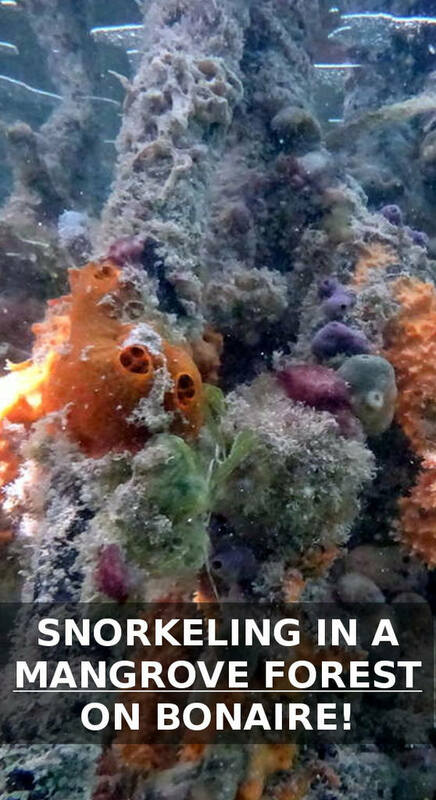 After this you need to leave the 'nursery' to make sure the ecosystem is not disturbed too much. Because the bottom of the channel is like a silt bed you can easily stir up enough 'dust' to block everyone's view. This is why you should not stand-up or touch the bottom in the channel. Especially the 'nursery' is very fragile and future generations can be wiped out by the kick. Luckily the people of The Mangrove Information Center are well aware of all the risks and they take good care of the environment. They try to keep it in the best shape for everyone to explore and enjoy. We learned a lot about the mangroves from Luuk.